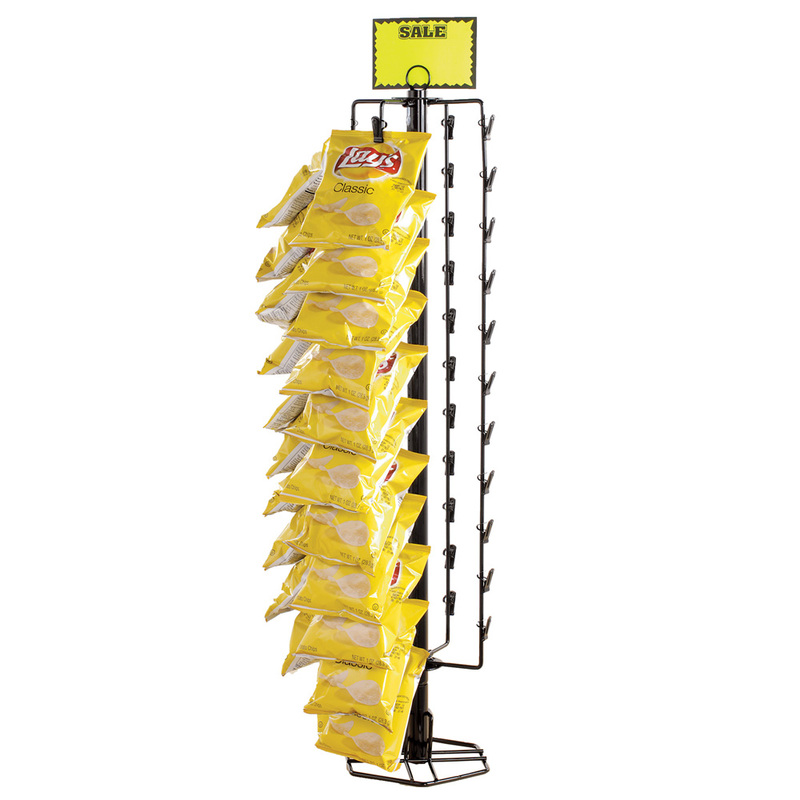 Display impulse items such as chips, candy, and other snacks using this spinning countertop display. Rotates so customers can easily view and select product. 4 strips with 11 clips each. Sign holder included. Some assembly required.